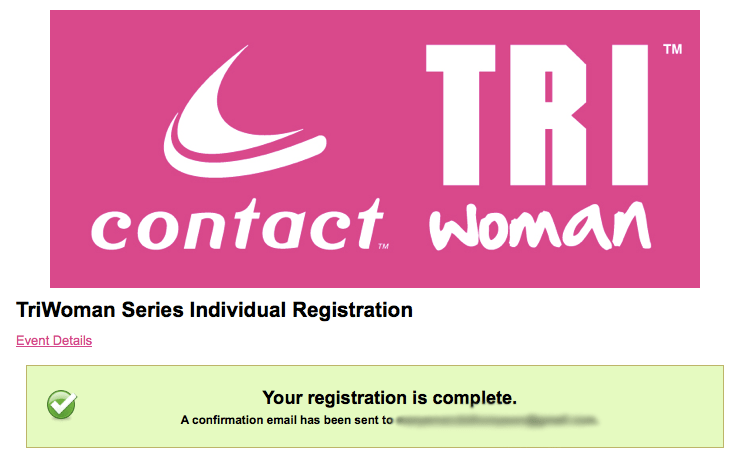 I finally went ahead and registered for the triathlon next year! I wanted to make sure I didn’t wait to the last minute and come up with a reason why I couldn’t do it. I’m super excited to just participate and see if I do actually like triathlons or not. And it will be awesome to cross something off my fitness list. I’m so excited! GOOD FOR YOU! You can do this. This is your first tri so there’s no reason you should put a lot of stress and high expectations on yourself. Just have fun! yaaaaaaaay! Now it’s for reals! Hitting the purchase button is always scary and exciting! Congrats! it’s 100 percent real now! That’s fantastic! What an awesome Christmas present to give yourself!!!! Well done for taking the bull by the horns, I’m sure you won’t regret it! Congrats! What an awesome present to yourself! congrats!! i’m doing my first tri next year too! can’t wait to read more about your training adventures! WOOHOO!!!! Good for your Merry! Sometimes that is all we need to get the ball rolling! Woohooo!! I am so excited for you! errrr…..that’s not my last blog! Weird! I’m not sure what’s wrong with that plugin. That is so awesome Mary! We need to challenge ourselves to move beyond our comfort zones. You can do it! That is fantastic! Nice job! Yeah for you! What a great Christmas present to yourself.